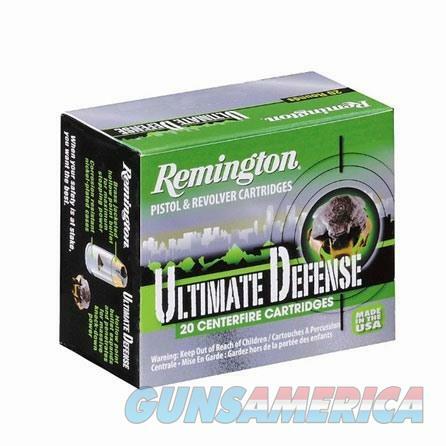 Description: Remington 28938 HD ULTIMATE DEFENSE AMMO 38 SPECIAL +P 125GR BJHP The Remington line of Personal Defense ammunition is engineered to help you stop threats when everything depends on it. Golden Saber BJHP bullet expands and penetrates for massive knockdown power. From bullets specially designed for controlled expansion and optimal energy transfer, to waterproofing and powders treated to reduce muzzle flash, its reliable stopping power stands ready for when you need it most.